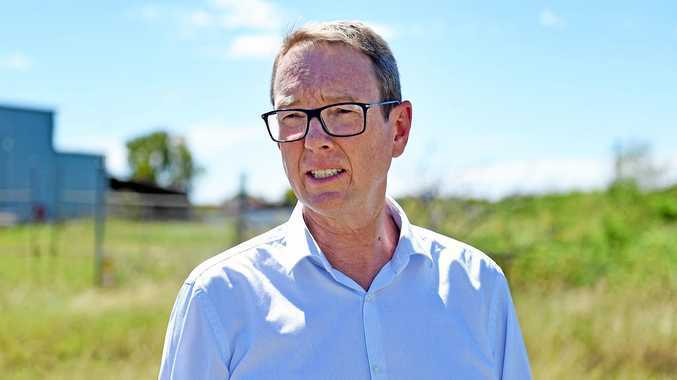 MORE jobs could be created in the Wide Bay Burnett region under a new Buy Local business policy launched by the Liberal National Party. 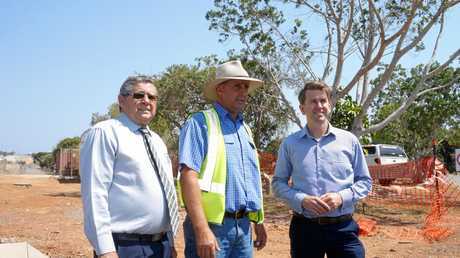 LNP Shadow Employment Minister Jarrod Bleijie visited Hervey Bay on Monday morning to spruik the opposition's new policy, which would allow local businesses to price match on government projects under $100 million. Mr Bleijie said if a local business was based in Queensland and had a workforce in the project area matching the lowest bid, they would get the job. Speaking in front of the Urraween Rd construction site, currently under construction by Qcivil, Mr Bleijie said the new policy would allow businesses like Qcivil to have a better chance for tender. "Under the current scheme, they'd put the tender in and if they were overpriced in their tender, that's the last they'd hear about it," Mr Bleijie said. "And the awarding of the contract would generally go to one of the big guys, generally interstate or international. "This opportunity for the price-match opportunity, gives the local business the opportunity to come back to the government for tender." The LNP's announcement follows Labor's adoption of a Buy Queensland policy earlier this month, which prioritises Queensland businesses for state government purchases. Mr Bleijie said the LNP's policy differed by having the price match guarantee. "Theirs is clearly not working, because they're still giving contracts out to international and interstate people," he said. "The Correctional Centre tender was only issued recently for Central Queensland's prison, and that's not gone to a Central Queensland company. "Ours is different because it makes sure the company is Queensland-based, there's a price match guarantee...and they've got to have the majority of the workforce in the region." Hervey Bay MP Ted Sorensen said the policy would allow towns like Maryborough and Hervey Bay to compete with interstate tenders. "You only have to look at the police boats that came from Victoria, and you've got BMR who wants to build the same kind of boat in Maryborough," Mr Sorensen said. "It's things like that we really want to change, to make sure that our local builders and contractors out here get a fair go on some of the contracts they put out."